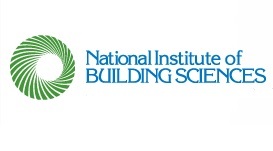 Washington, DC – (RealEstateRama) — Students interested in attending Building Innovation 2018: The National Institute of Building Sciences Annual Conference & Expo, January 8-11, 2018, at the Mandarin Oriental in Washington, D.C., already receive a discounted price on registration. However, there’s a chance to attend the Conference for FREE as a volunteer. This is the perfect opportunity for students interested in building industry-related careers to expand their construction knowledge and interact with some of the industry’s leading experts. For four impactful days, Building Innovation 2018 is set to deliver an engaging program that will explore strategies that Sustain. Strengthen. Secure. Plan to be there where Science meets Design® for a compelling program intended to engage the entire team of building professionals in creating innovative solutions for the built environment. In addition to taking advantage of educational sessions, volunteers can hear from industry leaders during keynote addresses; network with industry colleagues during social events; view the latest in industry products and services on the Exhibit Hall floor; gain inspiration from industry pioneers honored during two award ceremonies and sit in on working Council and Committee meetings to witness the Institute in action. The Institute is looking for student volunteers to serve as room monitors, scan badges and assist with other duties as needed. For their three-day time commitment (Tuesday, Wednesday and Thursday), volunteers receive a Full Conference registration, including lunches, and will be provided time to attend sessions and keynote addresses. Students interested in volunteering should email their name, university, major, professor and contact information to Gretchen Hesbacher at ?subject=I%20want%20to%20volunteer"> , subject line: “I want to volunteer.” Volunteer requests are due no later than Friday, December 8, 2017. Please note, travel expenses and hotel accommodations are not included. If you need a hotel room, be sure to take advantage of our room block and the discounted rate at the Mandarin Oriental, which is providing a special Conference rate of $175. Mention the “Building Innovation Conference & Expo” when making your reservations. Reserve your room by the deadline, Friday, December 8, 2017, at 6:00 p.m. ET, to secure this rate and availability. Make your reservations online or call (202) 787-6140. Due to the time constraints, international students requiring a VISA will not be considered. Not a student, but still interested in volunteering? Submit an email. Decisions will be made on an individual basis. View a full list of activities being held at Building Innovation 2018.